How are essential oils made today? Supercritical fluid extraction (SFE) uses supercritical carbon dioxide (sCO2), which is a fluid state where CO2 is held at or above its critical temperature and critical pressure. In its supercritical, fluid state, CO2 has an uncanny ability to perform as a commercial and industrial solvent. Unlike other commonly used toxic solvents, like hexane, CO2 is safe and environmentally friendly. The resulting essential-oil-based extract is currently all the rage in the aromatherapy community. Primarily accomplished with steam, essential oils can also be water-and-steam distilled as well as steam-vacuum distilled. Let me help you visualize the process: steam from boiling water comes into contact with biomass (lavender flowers, sandalwood, cinnamon bark, etc. ), softens it, and breaks up the volatile organic compounds (VOCs). Now loose, the lipophilic/hydrophobic (nonpolar) VOCs then pass through a condenser with the steam separating from the original biomass that originally contained them. Also traveling with the steam are the lipidphobic/hydrophilic (polar) components of the plant. In the condenser, the steam is cooled and the polar constituents separate from the nonpolar constituents while sitting in a tube. The water is then separated from the oil and what’s left are hydrosols (“floral waters”) and essential oils. If you’re keen on trying to do this yourself, you can easily pick up a home distiller kit for a few hundred bucks. It takes a little getting used to, but you’ll find that you can make some high-quality oils from many of the herbs, shrubs, and trees you have in your backyard! One of the most expensive ways to extract essentials, enfleurage is used for fragile flowers such as jasmine. This is a labor-intensive process that is rarely used today. Still interesting to note because of its historical significance, enfleurage can take weeks to complete and essentially uses animal fat (pounded and coated onto glass) to extract the essential oils out of delicate flowers. The end result is an oil/fat mixture known as a pomade that needs to be washed with alcohol to remove the fat. After the fat is removed, an extract containing volatile and nonvolatile principles is left, so it’s referred to as an absolute. Primarily reserved for citrus peels, mechanical pressing (aka “cold pressing”) literally squeezes the essential oils out of the rind of a fruit. 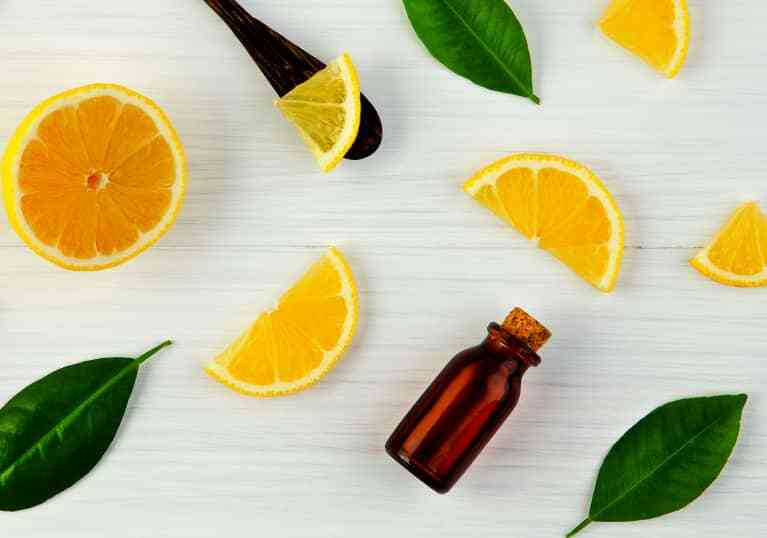 Citrus oils can also be steam distilled, but the aroma has a tendency to change considerably and the therapeutic properties are much different. A type of liquid-to-liquid extraction used for delicate, low-essential-oil-content flowers like rose, jasmine, mimosa, and others. 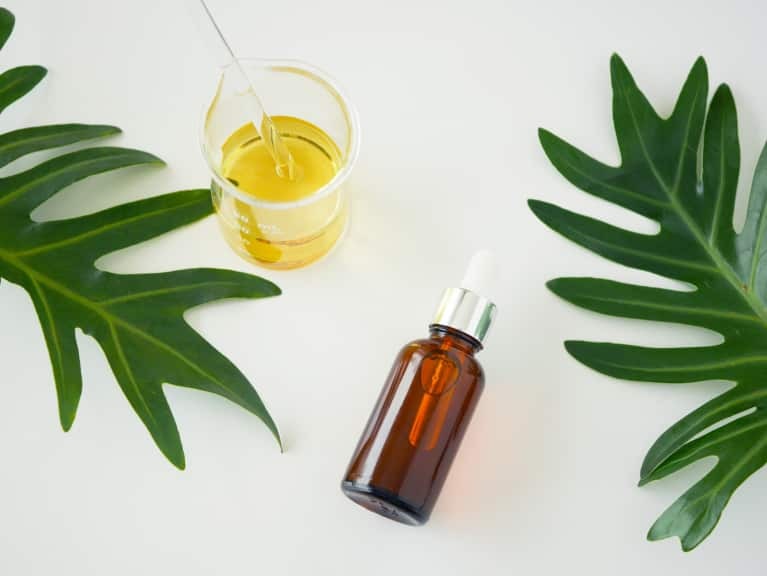 The process has been expedited, and much more of the essential oil can be extracted by using petroleum ether or chemical solvents like ethanol and hexane, all of which have safety concerns for us and for the environment. For this reason, safer alternatives like CO2 extraction are becoming more popular. Solvent extraction produces a waxy, fatty substance known as a concrete. When the concrete is washed with alcohol, the fat is separated, and the remaining end product contains volatile and non-volatile principles referred to as an absolute. What type of essential oil is right for me? The various forms of extraction produce different types of products—I outline the most commonly found types below. Taking note of these differences and being an avid label reader will not only empower you to become a more informed consumer, but it will help ensure that you’re spending your money on the products that you need to meet your health goals! A by-product of enfleurage and solvent extraction, absolutes are highly concentrated aromatic plant compounds that are widely used in the cosmetic and perfume industries as well as in the mental health field because of their uplifting aroma. The aroma generally resembles the actual plant that it was extracted from. Examples include rose, jasmine, and vanilla. CO2 extracts are still very experimental as few clinical trials have been conducted evaluating their safety and efficacy. With that said, they are quite popular now in the aromatherapy community because, unlike steam distillation, many more (medicinal) plant compounds are extracted during the process, no potentially harmful solvents are required, the oils are sometimes gentler to use on the skin, and their aromas are truer to the original plant than steam-distilled essential oils. Some of the more popular CO2 extracts include cannabis, turmeric, and vanilla. Citrus oils that are expressed are much different from their steam-distilled counterparts. They are darker in color, can stain clothing, and the aroma resembles the original peel much more closely. 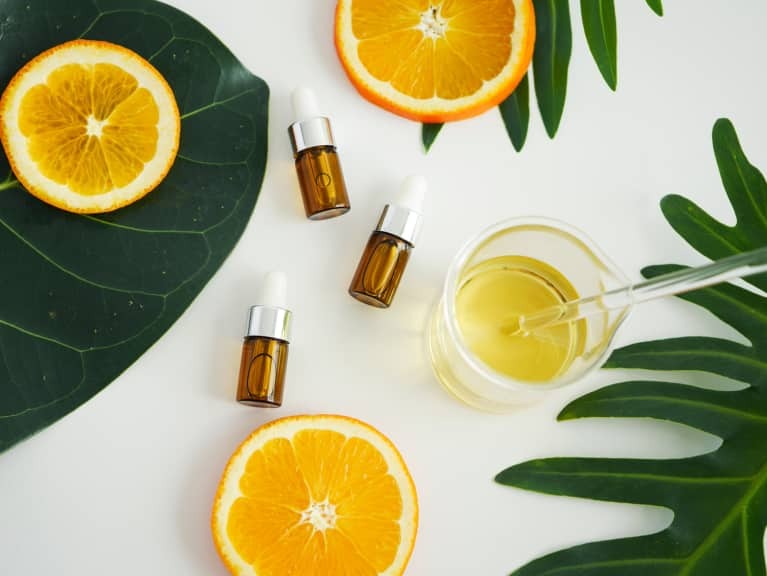 Technically speaking, citrus oils are not essential oils at all because they contain nonvolatile principles, but the aromatherapy and chemistry communities have made an exception to the rule. For more information on the safety differences (phototoxicity) between expressed and distilled citrus oils, see Chapter 3. 4. Essential oils (steam distilled). It’s important to note that the chemical properties (and therefore the therapeutic effects) of steam-distilled essentials oils are oftentimes different from the original plant that they were extracted out of. Keep a lookout for labels that indicate whether or not the contents in the bottle have been steam distilled. Otherwise, you can never be sure how the product was extracted and whether or not it’s truly an essential oil! Similar to absolutes in that they contain volatile and nonvolatile principles, extracts are popular because they retain many of the same chemical properties that essential oils have. Popular examples include cinnamon bark, clove, ginger, lemon, nutmeg, orange, peppermint, rose, spearmint, vanilla, and wintergreen. They are extracted using nonalcoholic solvents such as water, glycerin, and vinegar. The polar constituents dissolved into water during the distillation process, hydrosols contain minuscule amounts of essential oils and are very safe to consume and work wonderfully as spritzers, perfumes, and in body care products. Also known as hydrolats, distillate waters or floral waters, if you get your hands on some, be careful to refrigerate and use them speedily—they have a tendency to develop bacterial overgrowth and go rancid. Common examples on the market today include lavender, neroli, Roman chamomile, and rose. The by-product of submerging aromatic plant matter in a fixed oil for days or weeks, the remaining oil is reminiscent of what our ancestors would have used as perfume, anointing oils, or healing ointments. Using alcohol as the principle solvent to extract essential oils out of plants, tinctures are concentrated herbal remedies that have a long history of medicinal use. They are very easy to make, requiring only unflavored 80- to 90-proof vodka, some herbal biomass, a Mason jar, and about two months to steep. Examples include arnica, St. John’s wort, garlic, and echinacea.